Oracle Solaris is the trusted business platform that you depend on. Oracle Solaris 11 gives you consistent compatibility, is simple to use and is designed to always be secure. Learn more about this widely deployed Unix operating system by taking Oracle Solaris Training. Oracle Solaris 11 provides a flexible, scalable, and secure platform to run your mission-critical Oracle Database and Oracle Applications. To learn more about how the #1 UNIX OS unleashes the power of today's modern systems, consider taking Solaris Administration Training. Oracle Solaris Observability Tools provide always on, integrated guided diagnosis from application to the operating system and all the way to the hardware. Oracle Solaris make compliance reporting dramatically simpler even at cloud scale with integrated multi-node compliance reporting. Oracle Solaris makes is easier to rapidly respond to critical vulnerabilities by minimizing system downtime with safe one-step update and rollback capabilities. Oracle Solaris offers a dramatic advance in data management with an innovative approach to data integrity, near-zero administration, and a welcome integration of file system and volume management capabilities. Oracle Solaris and SPARC offer you a well integrated, high-performance solution for all your data center needs. 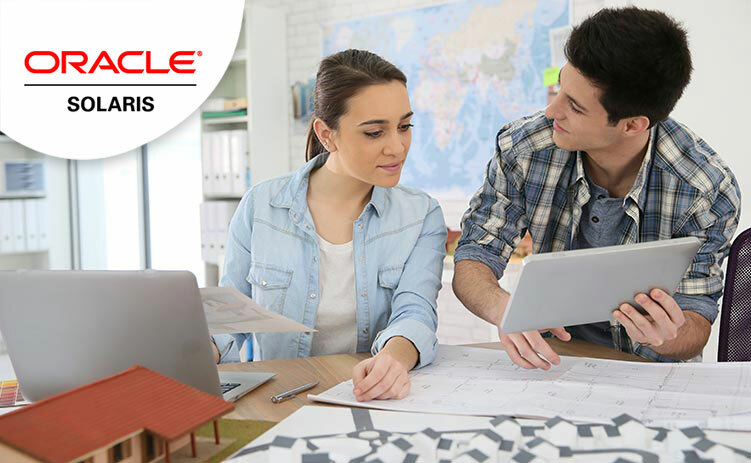 Oracle Solaris built in virtualization provides a highly efficient and scalable solution that sits at the core of the platform. Oracle Solaris provides a flexible, cost efficient, cloud-ready solution perfect for your data center. testing, and maintenance of its products. Oracle's goal is to ensure that Oracle's products, as well as the customer systems that leverage those products, remain as secure as possible.